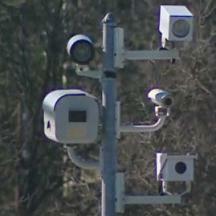 "Evaluations of red light camera (RLC) traffic safety programs have produced mixed results. Some conclude RLCs were associated with significant increases in motor vehicle crashes and injury crashes, whereas other research reports safety benefits. To understand the difference in findings, the present analysis assessed whether standards required for internal validity in quasi-experimental public health program evaluations were adhered to in frequently cited RLC analyses. Four evaluation standards were identified and used to assess the RLC analyses: lack of bias in the selection of both (a) treated sites and (b) comparison sites, (c) integration of relevant control variables in the analysis, and (d) full disclosure of results of the statistical analysis. Six leading RLC studies were then critiqued. Only two of the six studies adhered to the four standards and both concluded RLCs were associated with significant increases in crashes and injury or possible injury crashes. A third study reported an increase in fatal/injury crashes but did not test for statistical significance. Three studies reported equivocal findings; however, each failed to adhere to most standards. Differences in findings were attributed to the evaluation methods used. If implementing an RLC program, communities should use sound public health evaluation methods to assess effectiveness." A primary issue involved is called "selection bias". Put as simply as possible, typically studies compares a set of "treated" intersections (one where a camera has been added) to a set of "control" intersections where cameras were not added, and attempts to compare the difference in accident rates, or reduction in accident rates. If the treated intersections had a very high rate of accidents before adding cameras (particularly if this represented an unusual spike of accidents), and the control intersections had a very low rate of accidents before the study, then the comparison in rates is not valid because to treated intersections would be expected to decline. In the examined studies where the control and treated samples started out with similar rates and other rigorous statistically rigorous methods were followed, the cameras were showed to be associated with increases in accidents.